Hydromulch seeding is a process by which a combination of grass seed , a specially processed mulch derived from wood pulp or ground news print, fertilizers and water are mixed as a slurry and applied to prepared soil surfaces by way of hydromulching machines equipped with an agitation system and pump. After the material is distributed across the soil surface it dries as a hard crust cover protecting the soil from the elements. This process has become the standard for re-vegetating any site where sodding is cost prohibited. Allied Hydromulch uses the process of hydromulch seeding to establish dense grass turf for commercial tracts, athletic fields, golf courses, county parks, and the like. As well as areas in need of soil erosion protection such as landfills, retention ponds and land reclamation sites. We also use hydromulch seeding with the addition of wildflower seeds and/or native grass seeds for beautification projects at landfills, parks, highway roadsides and commercial sites. Allied Hydromulch was one of the first in the industry to apply grass sprigs by hydromulch method. Since 1990 we have hydro-sprigged, and seeded numerous athletic complexes, playing fields, and golf courses throughout the United States. 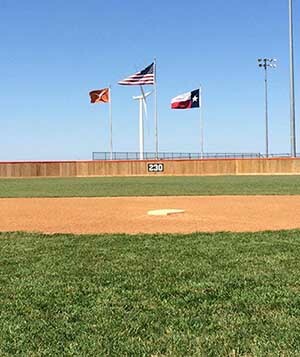 C-4 Baseball Complex at Taft, Texas. 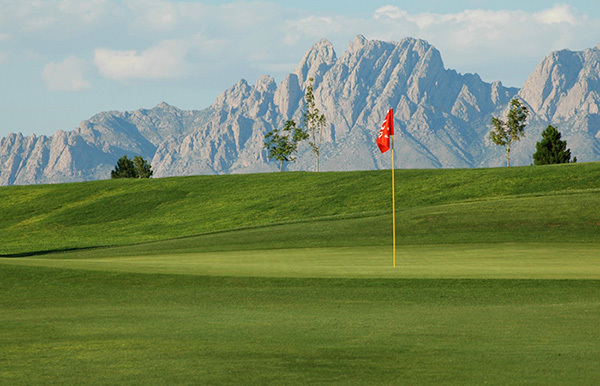 Above Is the University Golf Course in Las Cruces, New Mexico.